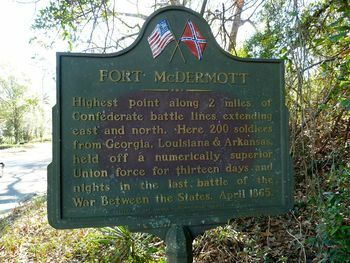 Fort McDermott (1864-1865) - A U.S. Civil War Confederate fortification established in 1864 as a part of the Spanish Fort Complex in Baldwin County, Alabama. 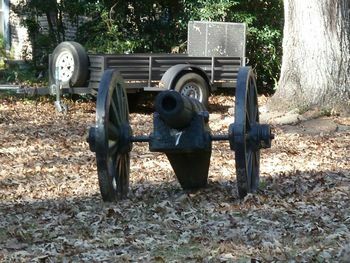 Captured by Union forces and abandoned in 1865. Also known as Fort McDermett and Battery McDermott. A confederate fortification established in 1864 as a part of the Spanish Fort Complex along with Spanish Fort (1) and Red Fort. The fortifications were connected by a two mile line of earthworks, redoubts, rifle pits and gun batteries. A Union attack on the fortifications began on 27 Mar 1865 and lasted for 13 days. The Union troops numbered about 30,000 against some 2,500 Confederate troops. The fortifications were abandoned by the confederate defenders on the night of 8-9 Apr 1865. Most of the Confederate troops fled across the river and toward Fort Blakeley and when Union troops stormed the fortifications on the 9th they found empty positions and spiked guns. The U.S. Civil War effectively ended on that same day with General Robert E. Lee surrendering at Appomattox Court House around 4 pm. 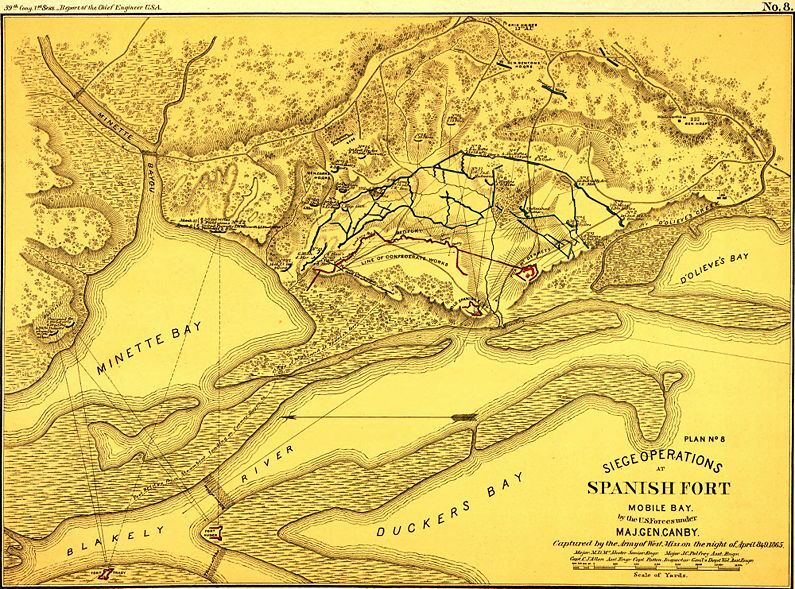 The battle at Spanish Fort shifted to the Battle at Fort Blakeley later that day. Location: Private Property in the town of Spanish Fort, Baldwin County, Alabama. This page was last modified 10:36, 17 March 2019 by Bill Thayer. Based on work by John Stanton.